Man today spends his life fully preoccupied with worldly concerns. Owing to attachment to the body, he forgets his true nature, is immersed in the affairs of the world and involves himself in misery. He regards the body as permanent and makes bodily comforts his goal in life. These are the things which every individual experiences in daily life. If anybody accosts a person and asks him, "Who are you"?, out of his identification with the body he gives his name in reply. In answer to further questions he introduces himself as a doctor, a farmer, or student or the like. When the enquiry goes further, he identifies himself with his nationality as an American, an Indian, a Pakistani, or so on. When you examine these answers deeply, you will find that none of them gives the truth. He got his name from his parents. It did not belong to him at birth. His identification with one or other of his professions is not true because he is not the profession. What, then, is the truth about him? "I am the Atma. That is my true Self." That is the truth. But people identify themselves with their names, professions and nationality and do not base their lives on the Atma. No driver of a car identifies himself with the car. Likewise, the body is a car and the Atma is the driver. Forgetting one's true role as a driver, one is identifying one's self with the body, which is only a vehicle. This truth is emphatically brought out by the Gayathri Mantra. Dehabudhyaath Daasoham - In the context of the body, I am an instrument, a servant. Jivabudhyaath Thadamsah - In the context of the Jiva, the individual soul, I am a spark of That (the Divine). 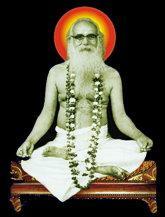 Aatmabudhyaath Thvamevaaham - In terms of the Atma I am you. When one views one's self from the Atmic standpoint, one is identical with the Divine. I am you and you are me. Every man has thus three aspects. Our life itself is a three storied mansion. The Brahmacharya (celibate) stage is the foundation of this mansion. After that, the stage of Grihastha (householder) is the first floor. Then you have the Vanaprastha (retirement from the life of a householder) stage as the second floor. Finally, there's the stage of the Sanyaasa(renunciant) , constituting the third floor. Thus, Brahmacharya is the foundation for the other three stages of life. The safety and security of the other three floors depend on the strength of the foundation, (viz., Brahmacharya). Hence, Brahmacharya is the basic foundation. But, unfortunately this vital fact has been forgotten by people. They feel happy on seeing the super structure. But the whole edifice may collapse at any time if the foundation is weak. When you feel happy at the sight of a tree and its flowers and fruits, you must be concerned about its roots. The unseen foundation is the basis for the visible mansion. The invisible roots are the basis for the visible tree. Likewise, the invisible vital force (Praana) is the basis for the visible body. Praana has no form, while the body has a form. There is, however, the Atmic principle which confers all the potencies for the life force (Praana). It is because of the power imparted by the Atma that the life force is able to activate the body. The body inherently is inert. It is made up of different kinds of material substances. The Gaayathri manthra has all the three elements which figure in the adoration of God : description, meditation and prayer. The first nine words of the mantra represent the attributes of the divine, Om Bhur-Bhuvas-Suvah Thath Savitur Varenyam Bhargo Devasya. Dheemahi pertains to dhyaana (meditation). Dheeyo yo nah Prachodayaath is the prayer to the Lord. The mantra is thus a prayer to God to confer all powers and talents. Sarvaroganivaarini Gaayathri: Gaayathri is the reliever of all diseases. Sarvaduhkha parivaarini Gaayathri: Gaayathri wards off all misery. Sarvavaancha phalasri Gaayathri: Gaayathri is the fulfiller of all desires. Gaayathri is the bestower of all that is beneficial. If the mantra is chanted, various kinds of powers will emerge in one. Hence the Gaayathri mantra should not be treated casually. In our respiration process the sound of Gaayathri is imbedded. That sound is a reminder of our true form. In the breathing process, there is inhalation and exhalation. In the Yoga Sastra inhalation is termed Poorakam and the exhalation is called Rechakam. Holding the breath is called Kumbhakam. When air is inhaled, the sound that is produced is So-o-o. 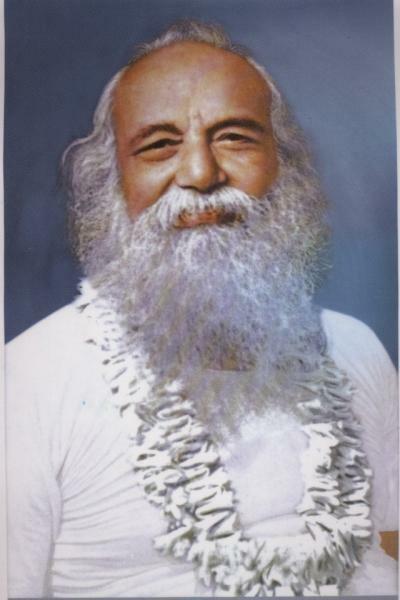 When it is exhaled the sound is Ham-m-m. So-ham, So-ham (Bhagavan demonstrated how this happens while breathing in and out). So is That. Ham is I. I am That. I am Divine. Every breath proclaims this. The Vedas declared the same thing in the pronouncements: Thath Thvam Asi (That thou art), Aham Brahmaasmi (I am Brahman), Ayam Atma Brahma (This Atma is Brahman). Don't imagine God is somewhere remote from you. He is within you . You are God. People want to see God. Sathyam Jnaanam Anantham Brahma say the scriptures. Truth is God. Wisdom is God. Both these are present everywhere. They transcend the categories of time and place. Truth is that which is valid at all times past, present an future. That truth is Gaayathri. Gaayathri is thus the indweller in the heart (Hridaya). Hridaya contains the word Daya meaning compassion. There is compassion in every heart. But to what extent is it shown in real life? Very little. All the while only anger, jealousy, pride and hatred are displayed. These evil qualities are not natural to man. They are opposed to human nature. It has been declared that one who bases himself entirely on the mind is a demon. One who bases himself on body is an animal. 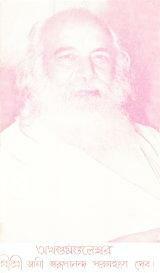 One who follows Atma (the Self) is divinely endowed. One who relies on the body, the mind and Atma is a human being. Humanness is the combination of the body, mind and Atma. Man should strive to ascend to the divine and not descend to the demonic or animal nature. From today onwards parents should teach their children stories with morals. You all know in what a chaotic condition the world is today. Disorder and violence are rampant everywhere. Peace and security are not to be found anywhere. Where is peace to be found? It is within us. Security is also within us. How is insecurity to be removed and security secured? It is by giving up desires. In the language of the ancient Bharatiyas this was termed Vairaagya (giving up attachment). This does not mean giving up home and family and retiring into the forest. It is reduction of wants. As a householder limit your desires to the needs of the family. As a student, stick to your studies. As a professional, adhere to the duties of your profession. Do not indulge in excesses of any kind. In the practice of the Gaayathri mantra, one should realise that everything is within one and thereby develop confidence in the Self. Man today is racked by numerous troubles because he has no confidence in the Self. The aspirant on the spiritual path is he bound to face the troubles caused by the six enemies - lust, anger, greed, infatuation, pride and envy. He has to he overcome them. Students! On an auspicious occasion like this, you should consider how you can lead an ideal life. Through faith in God you have to sanctify the body. Without the body, you cannot experience the mind and the intellect. To achieve your ideals, the body is the instrument. It should be kept in proper condition. While the body is a instrument, the user of the instrument is the Self. All sense organs function because of the Atma. The Atma is the witness to everything. It is also known as conscience. The conscience derives its sanction from the divine. It is a fragment of the divine. Every human being is a spark of the divine, as declared in the Gita. The human being is essentially divine, but tends to forget his divine origin. The Gaayathri mantra is enough to protect the person who chants it, because Gaayathri embodies all the divine potencies. It is an essential requisite for the young because it ensures a bright and auspicious future for them. The young students are the citizens and leaders of tomorrow. Hence, they should develop pure and noble thoughts. The parents also should foster such a development. The Upanayanam ceremony is over. The Gaayathri mantra has been imparted to you. You are wearing the sacred thread with three strands tied in one knot. The three strands represent Brahma, Vishnu and Maheswara. They also represent the past, the present and the future. 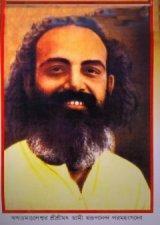 Upanayanam means being near to God. Nearness to God will enable you to get rid of your bad qualities and acquire virtues. Students! The Vedas have emphasised three duties: Esteem the mother as God, the father as God and the preceptor as God. Bear this injunction in mind. Gratitude to your parents is your foremost duty. This is the lesson taught by Sri Rama. Love your parents and remember God. When you please your parents and make them happy, your entire life will be filled with happiness. Chant the Gaayathri as often as possible. If you chant it while you take a bath, your bath gets sanctified. Likewise chant it before taking your food. The food becomes an offering to the divine. Develop heartfelt devotion to God. Today, Babamani's followers 105 visitors (148 hits) on this page!